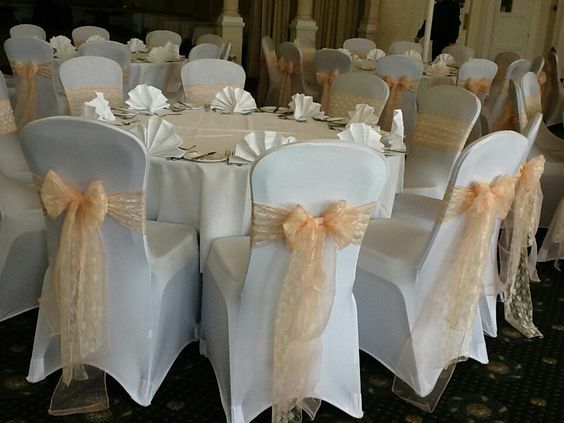 Next - Covering the hotel banquet chair - CHAIR COVERS....do you still want to use these on your wedding day? Cute chair treatments. There are so many different things that you can do with them now, here are a couple of my favorites. The use of ribbon is always cute, use a color that matches your theme. 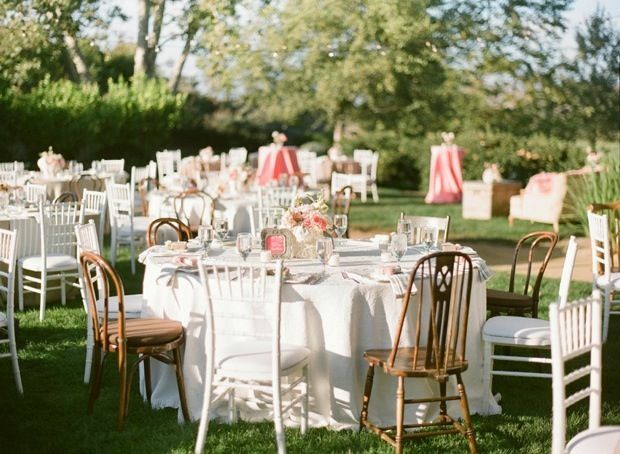 I also love the use of mixed chair types! Moving onto the Chavari Chair. Always classy and very versatile, pretty chair treatments can be added, now even covered. You an also change out the chair pad color. 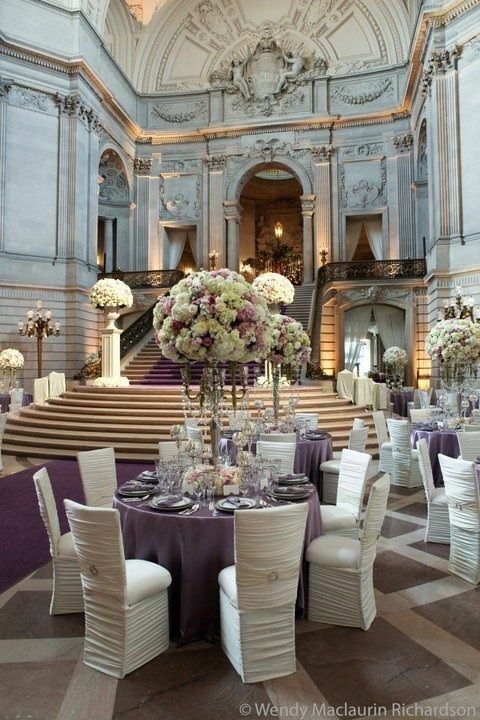 Most common is the Gold and the Silver chair, but the wood ones are pretty in certain venues too! The Ghost Chair is not new, but is new in certain parts of the country. These chairs are clear...I love these too! Easy to design around because they just tend to blend in. 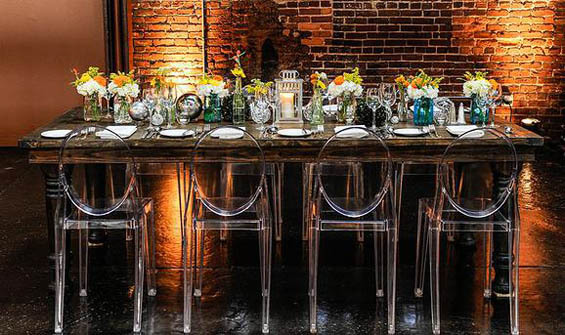 Very pricey for brides in our area, but you may see them used at a sweetheart or head table. Lastly we get to the Chamelon Chair. My ultimate favorite! 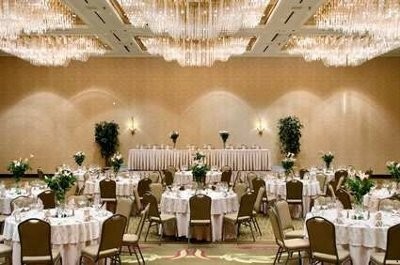 Again very pricey for brides in our area, but a great option for sweetheart tables and head tables. 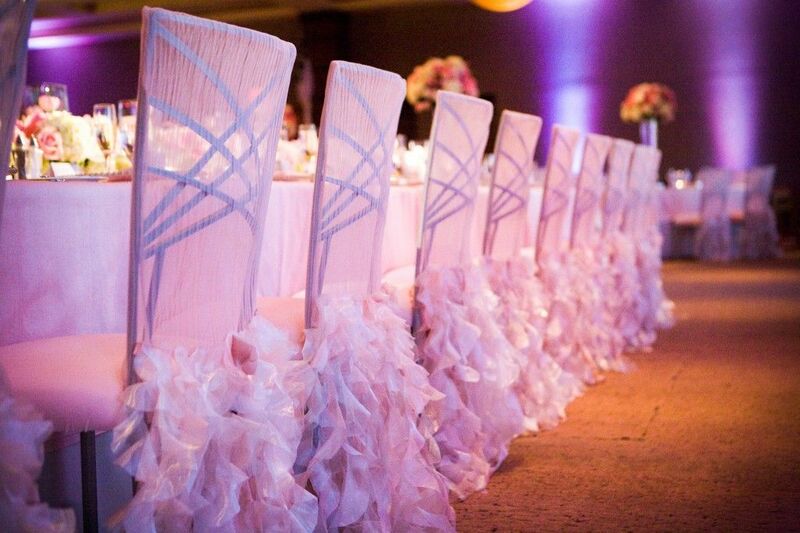 I just love the lines on these chairs! These also come in great colors and are easily dressed and decorated! 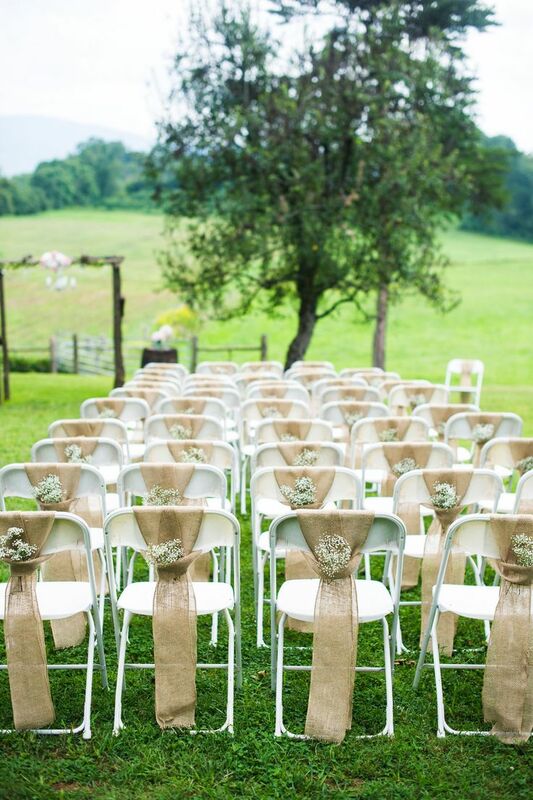 Didn't know there were different kinds of chairs that you could use for your wedding day? 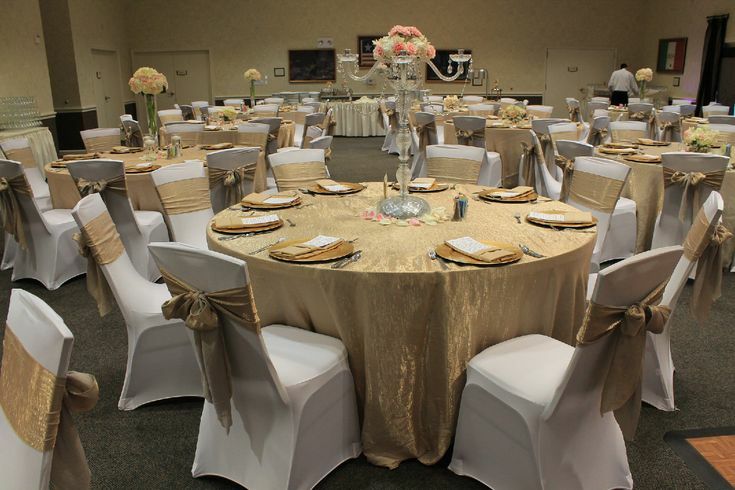 Give us a call and we'll help you pick out the chair or dressing of a chair that is best for you and your wedding design!